← How far is a Marathon? I’m joining the Always #LikeAGirl movement after being introduced by a fellow blogger, EliHawkins. Always did a social experiment on the perception of #LikeAGirl. Before I viewed this video, I would see the “Like A Girl” slogan used for fighting breast cancer or running related shirts and headbands. I never conceptualized doing anything “like a girl” as negative, uncoordinated, weak, or inferior. In fact, growing up as the only girl with 4 brothers, 3 being older gave me a lot of positive attributes. In the Smoot household, “like a girl” was synonymous with “like Kelsie.” Like Kelsie means dutiful, diligent, and sassy. Unfortunately, every young lady does not have a strong foundation to build their self confidence. My job is to restore a positive outlook and rebuild self-efficacy in every foster child and Smoodent I come in contact with. Let’s all continue to empower our young women. 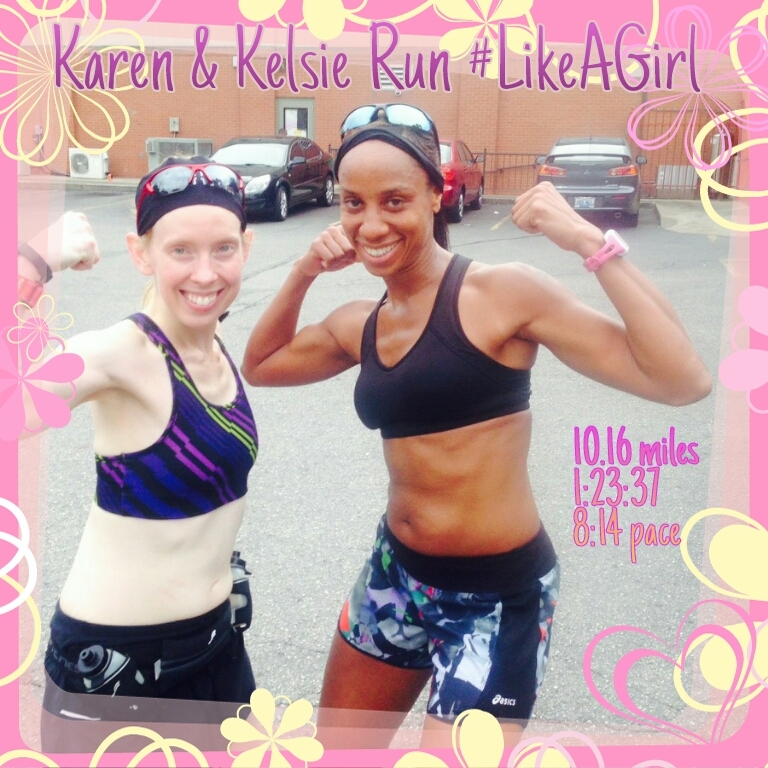 This entry was posted in family, fitness, marathon, running and tagged #LikeAGirl. Bookmark the permalink. I absolutely love everything that that commercial represents. It got me to thinking so much about the things my daughter is going to hear when she is at that formative age an I’m so proud to be able to be a strong role model for her! Aww yeah, great job! I will try to do things #likeagirl too! LOL, ok. but you gotta know, I was hurtin – 95% of those other people in boot camp didn’t run before hand! OK. You get a free pass this time only! When I saw this on Friday night, I was proud to run #LikeAGirl. With sports bras Like A Girl! Heck yeah!! It was a great run yesterday! I JUST saw this video earlier this morning and it made me so sad/empowered all at the same time! Unfortunately “like a girl” has always held a negative connotation for me but I’ve never associated it with what I do….I like changing the meaning of it!